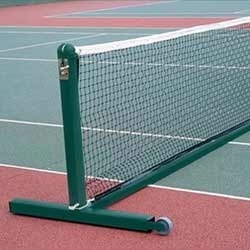 We are the famous manufacturers, importers, importers of the Free Standing Tennis Posts in the market. These are available in different sizes, heights and the nets are made with finest quality. These products have many features and these also have long life due to the quality material. These are the products where the customers can avail in comprehensive range. Looking for Tennis Posts ?